Two hundred and six bones. One heart. Two eyes. Ten fingers. You may think we know what makes up a human. But it turns out our bodies are full of surprises. What makes tears of joy different from tears of sadness? Why is a gut feeling so much smarter than you think? And why is 90 percent of you not even human? You may think you know the human body - heart, lungs, brain and bones - but it's time to think again. Your body is full of extraordinary mysteries that science is only just beginning to understand. 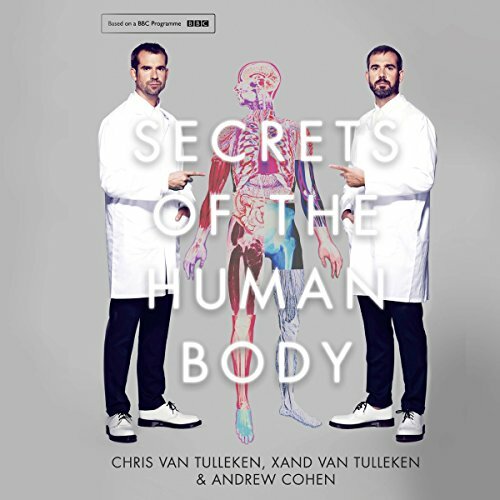 This book, which accompanies a major new BBC TV programme, turns your knowledge of the human body on its head. Leading us through all of these revelations are stories of everyday miracles - the human stories that bind every one of us together through the universal stages of life. From the most extreme environments on earth to the most extreme events, we reveal the extraordinary abilities every human shares. Combining cutting-edge science with cutting-edge technology, we see the human body like never before. I was worried this would not go into as much depth as I wanted, but I was wrong. It is full of so much information - thoroughly up to date research - and yet written and narrated in a clear and approachable way. Not at all dry and not at all superficial. I recommend it to anyone with a human body. A wasteful shame of an excellent subject matter. I was very much looking forward to hearing this audio book, though I am not blessed with an academic science background I have always had a penchant for real science, especially biology and most especially human biology throughout my 61 years of life. It was therefore very disappointing to hear the narrator and co-author of Secrets of the Human Body incessantly use the theory of evolution to explain away any of the wonders of his subject. He coined the phrase “designer nature” in the second chapter and referred to our bodies being designed to learn from experience and adapt. How can blind evolution learn and adapt, how can nature (predicated on evolution) be a designer. Wherever you are sat reading this review, please take a look around you and determine if anything in your field of vision came about without a designer, if you answer no to the question (as I suspect you will) then ask yourself how an immensely complex organism composed of over 200 cell types and 80 organs all working in perfect harmony and synergy possibly come into being ‘by mistake’? To spend 20 years studying the human body, having access to the greatest centres of learning in the world like Cambridge University and yet not seeing and acknowledging that the human genome with all its complexity could not possibly have mutated through millions of iterations to what it is today leaves me speechless and in the words of King David of Israel I can only conclude:-The fool hath said in his heart, there is no God.